The Mumbai wing of the income tax (I-T) department currently passed an order against Sir Dorabji Tata Trust for exceeding the exemption made available to the trust under the Income Tax Act, three persons told ET. The matter related Rs 2.5 crore paid as salary to the managing trustee R Venkataramanan by the trust for the assessment year 2015-16, which the I-T department views as a violation of the rules under section 13 of the Act. Section 13 of the I-T Act defines the utilization of income or the property of the trust or institution or any part of such income or property to be specifically spent for the objectives the said trust was set up. Exemptions are given under section 11 of the I-T Act. “This was for the assessment year 2015-16. The salary drawn by the managing trustee is beyond the permissible limit of the tax bracket allowed under the exemption rules and therefore notices were served and subsequently the issue was decided last month,” an official in know of the development added. Tata Trusts denied a request for comment from ET. However, it has contested the notice, officials close to the development said. In its order dated December 31, the department held that exemption claimed under section 11 of the I-T Act stands withdrawn. “The exemption claimed under section 11 has been denied for violation of condition under section 13 of the I-T Act,” another senior official privy. As per I-T sources, the trust would now have to pay taxes in accordance with the provision of section 13. “They have been asked to pay taxes as per the provision laid down under section 13. They have an option to appeal, they haven’t availed of it yet,” added the official. A Tata Trusts executive confirmed that they are weighing legal options to contest the order. “Tata Trusts offers good compensation to top talent on the premise that it is important to attract the right kind of qualified professionals to work in the social sector. Why would good talent want to work for this sector unless their pay packets are comparable to the corporate world,” said an official of Tata Trusts who did not want to be identified? However, another person associated with charitable trusts stated members normally forgo such salaries and it is only the employees and executives who can draw salaries comparable to their peers in the corporate world. I-T sent the trust show-cause notices last year before the issue was decided. “The Trust replied to the show cause notices but their replies were not satisfactory. Following which the matter was decided in December last year and they have a month-long period to go into appeal,” added the official. The period to appeal lapses on January 31. 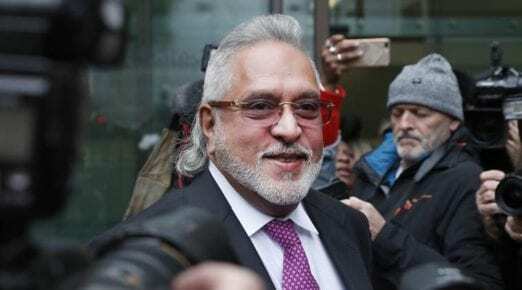 “The 1932 Trust deed of the Sir Dorabji Tata Trust allows for compensation of the managing trustee and there are no limits mentioned,” said the official quoted earlier. “Venkataramanan is responsible for the performance of all Tata Trusts although the salary is reflected in the Sir Dorabji Tata Trust. The disbursement of all Tata Trusts in 2017-18 was Rs 1,150 crore, against Rs 955 crore in the previous year,” the official added. Venkataramanan’s role as managing trustee is executive in nature and therefore his salary cannot be compared with other regular trustees, this official argued. The skirmish with the I-T department will be viewed with interest as the Sir Dorabji Tata Trust is seen as one of India’s oldest and non-sectarian philanthropic organizations. 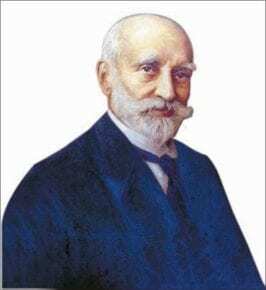 It was established in 1932 by Sir Dorabji Tata, the eldest son of Tata group founder Jamsetji Tata, with an endowment of Rs 10 lakh at that time, his entire fortune. The Trust was set up to catalyze development across the nation. Sir Dorabji Tata Trust and the Allied Trusts (SDTT) have been credited for the establishment of several leading national institutions including the Indian Institute of Science, Tata Institute of Social Sciences, Tata Memorial Centre, Tata Medical Center, Tata Institute of Fundamental Research, National Centre for Performing Arts, among others.